Norihito is unique. Are you? 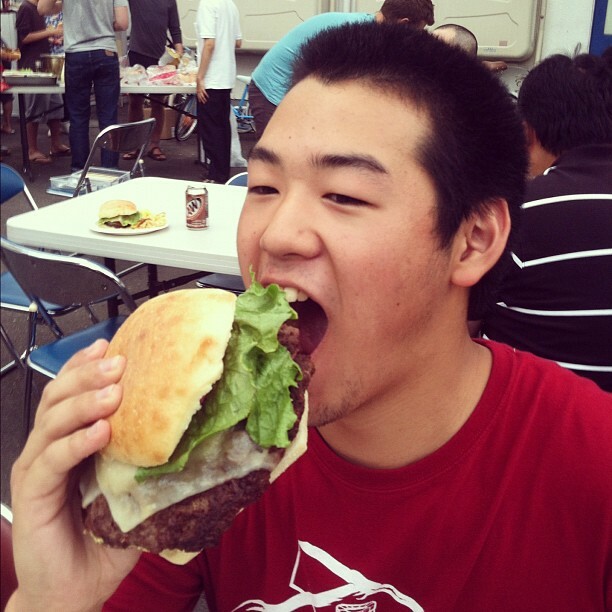 Norihito consumed this massive burger + 3 chili dogs + another burger + sides. But that is not what makes him so unique in Japan. Norihito is unique here in Japan. Yes, he is a man-child who at the age of 14 looks like he is in his early 20’s. Yes, he can consume large amounts of food (he recently ate 7lbs of food at a buffet) without any immediate natural consequences. Yes, he is as strong as an ox and can destroy anyone here in arm wrestling. But none of these qualities is what causes him to be extraordinarily unique. What makes him unique here in Japan is that he is an obedient disciple-making follower of Jesus Christ. Norihito is among a very small percentage (0.4% to be exact) of Japanese on the island of Hokkaido who has a personal relationship with Jesus Christ–this comes through faith alone. Norihito also takes Jesus’ command to make disciples in Matthew 28:18-20 seriously–he obeys it. For several weeks, he prayed for his friend, Pon, to believe in Jesus and pursued him with the goal of proclaiming the good news of Jesus to Pon. He has shared the message of the gospel with Pon and invited him to a number of outreach events. A few weeks ago I got to personally witness Pon surrender his life to Jesus during a Bible study (PRIME English Bible study while the Castleview STM Team was here). We were using the Sword method to examine the story of the sinful woman from Luke 7:36-50 who wept at Jesus’ feet while wiping them with her tears and anointing them with expensive perfume. When asked who he most identified with in the story, Pon said “the woman weeping at Jesus feet because I have so much sin in my life and need Jesus’ forgiveness”. The small group was astonished that God has used His Word so quickly to penetrate Pon’s heart with the gospel making him aware of his desperate need for Jesus. Norihito then opened his Bible and began to further explain to Pon who Jesus is and what it means to repent and believe. Pon surrendered his life to Jesus and was able to leave that Sunday with a new life in Christ and a new mission–to make disciples (see photos below). Pon was challenged to share with some non-Christian friends and family the same story from the Bible that he had learned that day. 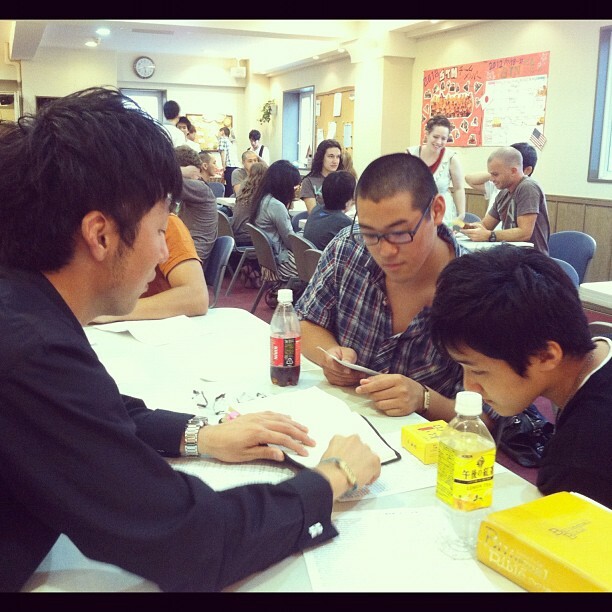 Pon is now unique–he is a Christian in Japan who obeys Jesus’ command to make disciples. Will you pray for Norhito and Pon? It is exciting to hear this account of Norihito and Pon but lets get personal. Are you unique? Sadly, less that 2% of evangelical Christians regularly share their faith with lost people. Are you among the 2% or the 98%? If you are a Christian and are not obeying Jesus’ command to make disciples, do you have any reasons why? Think about it…what keeps you from obeying, sharing and experiencing the exciting life of being used by God on His mission? Are you scared? Rely on Jesus‘ power, Word & Spirit. Do you feel alone? He promises to be with you (His Spirit dwells in you) and you have His church. Do you not know how? Be sure to put yourself in a position to be equipped. Go ahead and repent for disobedience, ask God to give you the opportunities and faith to obey then seek out some accountability (Jesus sent His disciples out in pairs). If you want to be equipped and do not know how, let us know and we will either connect you with someone or train you ourselves. Norihito is unique. He is an “ordinary” Christian being used by an extraordinary God to accomplish an incredible mission. Are you? 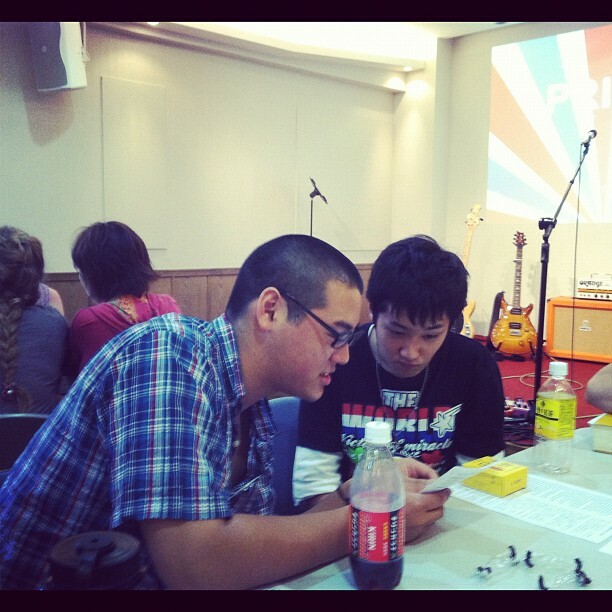 Norihito (left) shares with Pon about who Jesus is from a story in Luke 7 during a PRIME weekly English Bible study. 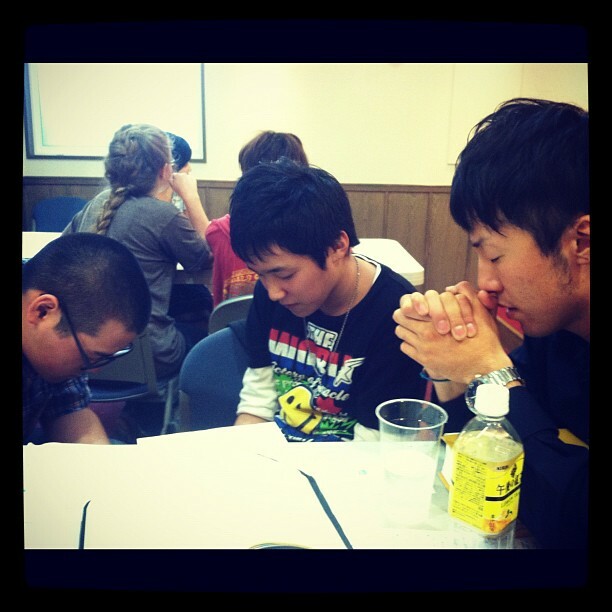 Washimi & Norihito further explain the gospel to Pon from the Bible at PRIME English Bible Study using 3/3s format. Pon places faith in Jesus as his Lord & Savior and repents through prayer. He is a new disciple who is being trained to make disciples.